Fun little Halloween card today! 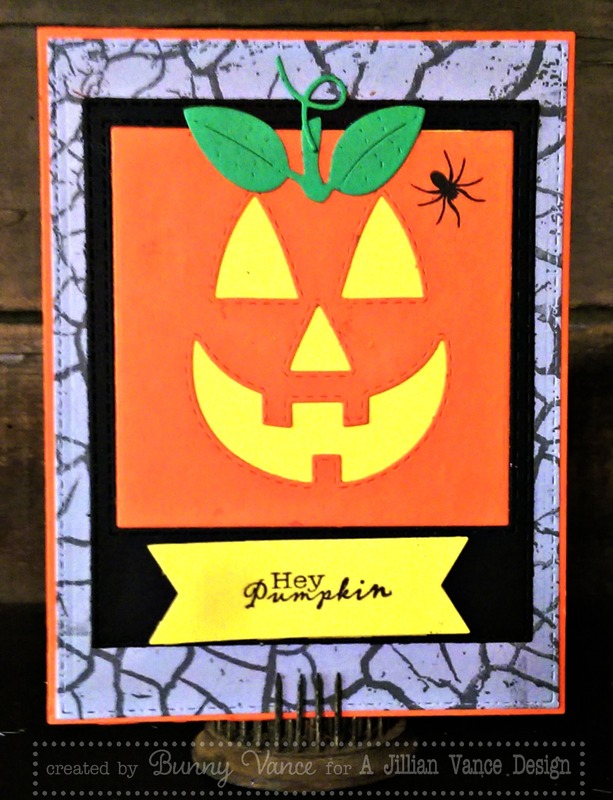 Using the new Stitched Dot Instant Photo Frame and Jack O Lantern Die, I made a pumpkin face #SELFIE! lol! I love the Cracked Paint Background Builder Stamp, we have had it for 3 years and it gives a unique look to any occasion card, but I especially like it for Halloween ones! I also used our new Stitched Dot Rectangles (shown in the grey cardstock). they are the same size as our Polka Dot rectangles however have a unique Morse Code pattern. Jillian had many requests at shows for Stitched rectangles which may companies have, so she designed this pattern to be a little more unique! Fall is in the air and next week, Jillian FINALLY starts classes. She has been patiently waiting! A 4 month summer is about 3 weeks too long! What a fun and happy Halloween card!